The Government is offering a reduced mileage rate to women with cervical cancer who were not told that their smears were misread. The women are entitled to claim 18c a kilometre for travelling to treatments, according to a “guidance document” circulated to staff by the Health Service Executive. This is half the 37c that civil servants can claim for every kilometre they travel, up to a maximum of 1,500. It is only slightly more than the 16.59c that civil servants are allowed to claim for travelling to courses or to attend interviews for promotion. The women are also allowed to claim subsistence rates of €133.73 when they need to stay overnight for treatment, or €167.34 if they are overnighting in Dublin. In addition, they may claim €14.01 a day to cover meals, or €33.61 if they are away for more than 10 hours. The guidance document outlines commitments to meet home care and nursing expenses, child care costs, counselling and other expenses. The women and immediate families were also issued with discretionary medical cards. Expenses incurred by the women before May – when the Government’s offer of financial supports came into effect – will be “considered” by the Department of Health. The document says the HSE will forward information on those expenses to the Department of Health for its “consideration”. The Government announced the additional supports for women impacted by the CervicalCheck scandal last month but came under criticism because women were experiencing delays in accessing them. The Government acted swiftly to approve ex-gratia payments of €2,000 to each woman affected by the controversy, with the first payments transferred to a number of women over the weekend. Minister for Health Simon Harris said this would not prevent compensation being provided to the women affected. The proposal to offer a financial sum to each of the 209 women and to the next of kin of any woman who has passed away was contained in a progress report by Dr Gabriel Scally, the chair of an independent scoping inquiry. Dr Scally accused the HSE and other state agencies of delays in providing records and of providing electronic records in a form that meant they could not be searched. Meanwhile, the Royal College of Surgeons will this week start a clinical audit of more than 3,000 women with cervical cancer. The audit will include the 1,400 women with cervical cancer who were screened by CervicalCheck and a further 1,500 who are on the National Cancer Registry, who were not all screened or may have been screened privately. The team from the RCS will also be expected to analyse the levels of false negatives, levels of error, whether the standards applied to US laboratories to the reading of cervical cytology slides. The terms of the reference for the RCS audit are due to be published in the coming days. 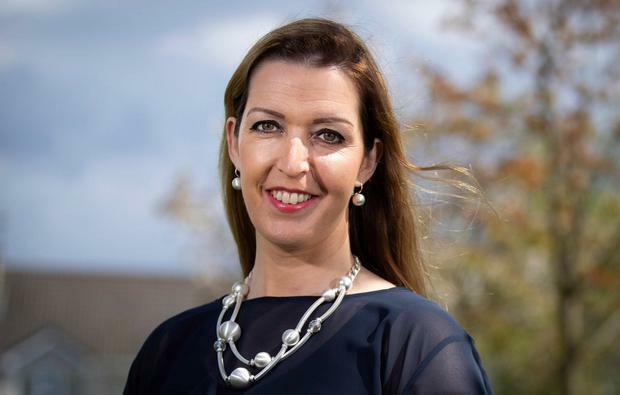 An American medical college is expecting the results this week of its review of screenings at the same US laboratory that settled Vicky Phelan’s case for €2.5m. Baylor College of Medicine in Texas launched a probe into the diagnostic accuracy of the cervical smears it sends to Clinical Pathology Laboratories in Austin, Texas, in the wake of the cervical cancer screening scandal in Ireland. A spokesperson said the results are due later this week but was unable to say whether its report will be published. Ms Phelan, who exposed the failure to tell women about misread smears, received happy news last week that a revolutionary drug treatment appeared to be working after only three doses. Ms Phelan received a terminal diagnosis in January but she told RTE last week that her tumours appear to have shrunk significantly. She said it took “nine weeks of blood, sweat and tears” to fight for the drug.